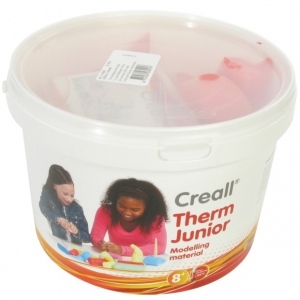 * Creall-Therm Junior is quickly becoming a staple for any art classroom or home. 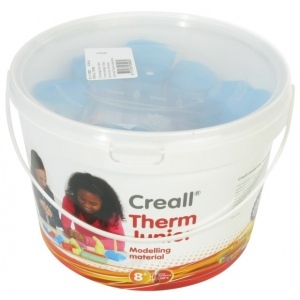 * This soft and easy to work with material is ideal for modeling and theme-based projects, as well as creating jewelry. 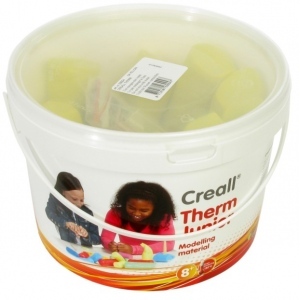 * Bake it in any kitchen oven for preservation or store in the provided tub to reuse over and over again! 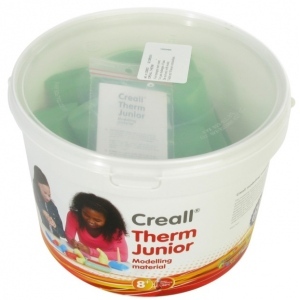 * Available in 5 fantastic colors, which can be mixed for unlimited color possibilities and effects.